Many of my thoughts are still resonating from the conference and experiences in Berlin this past weekend; there was much to take in! A highlight of the weekend was the night we arrived. We were fortunate to attend the Franco-Allemagne Soirée hosted by the my host district in Paris, District 1660. It was amazing! Held in the well-known "Checkpoint Charlie" Museum of the Berlin Wall, it was closed to the public at that hour--but open to us for the party. Though there were many Rotarians to meet and talk with, we did our best to meander through the exhibits of the museum, rich in a fascinating history. This party, for French and German Rotary clubs, epitomized Rotary's spirit of generosity, and cultural understanding--both in casual conversation and in location and purpose. It was a lot of fun to realize how many French Rotarians I have been able to meet and connect to these past few months in Paris! We recognized and talked with Rotarians from clubs all over Paris. The conferences were informative, vast, and varied.. all held at this beautiful hotel right in the heart of Berlin: (see the Rotary flags!) The vibe in and in between events was very inspired and inspiring! As mentioned before the Rotary International President, Sakuji Tanaka was present and gave closing remarks, after the powerful closing and "Berlin Declaration on Peace." Some of our other favorite sessions included ones in which an Australian Rotary Ambassadorial Scholar spoke on Peace in new generations, and also a great session on "the Value of Freedom and Democracy for Peace." I rest assured knowing through the positive interactions, conferences, and ideas spread in meetings such as this one- the world becomes a better informed, and thus, better place. 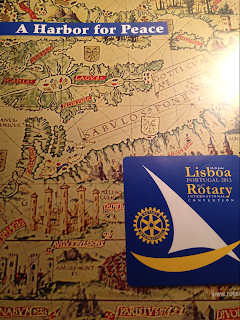 Never before have I better grasped the depth of Rotary, being a truly international organization. There were countless countries represented, and beautifully working and contributing together. On top of it all, we had time to tour Berlin and get to know the city with its fascinating history. It COULDN'T have looked/felt/smelled/tasted more different than Paris! Oh, and did I mention- it snowed?! A very special shout out to our wonderful host, Gabrielle (far right) a dear friend for hosting us this weekend and showing us some of Berlin--here, at a wonderful, traditional German Christmas market! Now, in mirroring the closing of the forum in Berlin--it's onto the next Forum in Honolulu, Hawaii! How I wish I could attend that one, too! American Rotarians reading this, don't miss out! 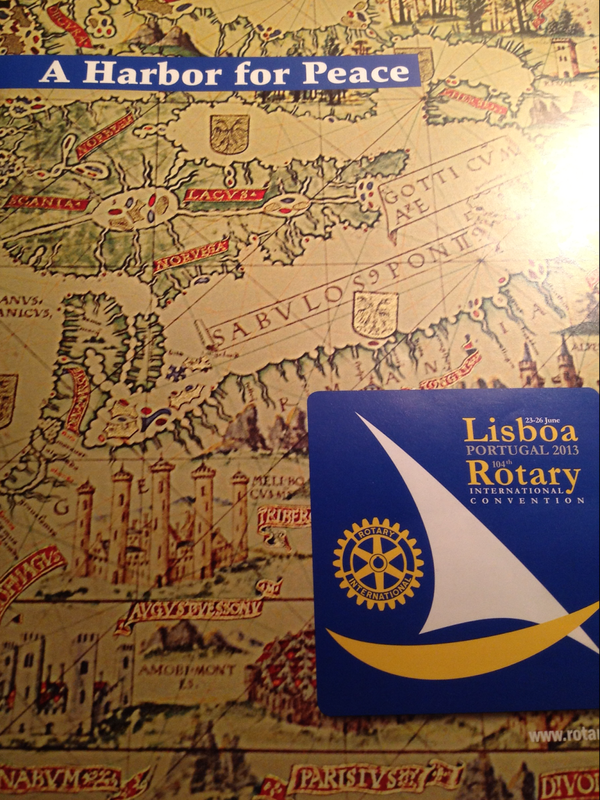 Also, Rotary is looking forward to the next 104th Rotary International Convention in Lisbon, Portugal in June 2013!